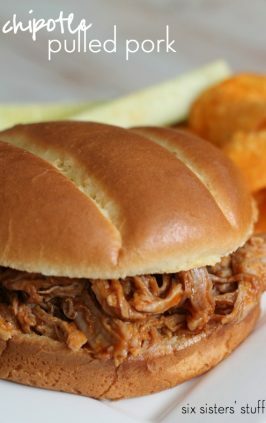 These Slow Cooker Ground Turkey Sloppy Joes, make my life easy. They take minutes to throw together and are the perfect dish for a busy mom. The family loves them, and they are inexpensive and delicious. It's a win, win, win dish for us. Want to know something hilarious? Six Sisters’ Stuff has been approached by two different production companies about doing a reality tv show. Not even kidding. Little do these people know that we lead pretty boring lives. I make PB and J sandwiches, I change dirty diapers, my sink is usually full of dishes and I buy my groceries AND clothes at Target (one-stop shopping). I break up fights over toys and I blog until the wee hours of the morning after my kids have gone to sleep. It’s not really anything exciting. We are just about the farthest thing from the Kardashian sisters. We have never once said that we are professional chefs- we are just trying to find the best and easiest recipes to keep our families fed. 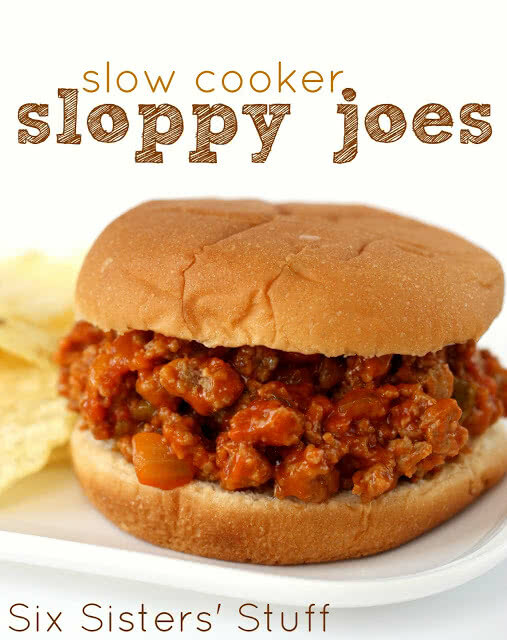 And these sloppy joes are seriously one of our family’s favorites. I don’t think that it’s fancy enough to be on any cooking show, but I guarantee that your family will love it. could I use ground beef with this recipe? You could most definitely use ground beef in this recipe. I prefer the ground turkey, because it tastes a little more clean, and isn’t as greasy. This recipe is delicious with both, but I personally love this recipe with ground turkey. If you choose to use ground beef, I recommend using a high lean percentage, with a low fat percentage. I also recommend rinsing and draining your ground beef when cooking it. The less grease in the meat, the better the sauce will stick to it. The recipe doesn’t need any cooking or temperature adjustments. They cook about the same. The ground beef may take less time to cook, so be sure to keep an eye on it. If you are looking for a simple, and delicious side dish, you have to try our BBQ Macaroni Salad. It only requires a few simple ingredients, and is a crowd favorite every time. In a large skillet, add turkey, onion, celery, and green pepper until turkey is no longer pink. Drain the grease and add to slow cooker sprayed with nonstick cooking spray. Add tomato soup, ketchup, mustard, and brown sugar to ingredients in slow cooker and stir together. Cook on low for 4 hours, keep warm until serving. Serve on hamburger buns. I love this recipe.. Actually I have cooked alot of different recipes from this site and they have all turned out good.. This recipe was fantastic.. Every child in my house loved it.. Which dont happen very often.. I made it with ground white turkey and organic tomato soup.. Tastes so much better than the canned stuff and you know exactly whats in it, using your own fresh ingredients.. <3 this recipe...so delicious! This is also good with BBQ sauce instead of mustard. It also modifies to a great chili recipe. I don't like tomato-y chili but with BBQ sauce its unbelievable. does anyone else have a CHALLENGE with the smells when cooking turkey??? My hsb is not too excited about the smell of the holiday turkeys roasting and likes the ground turkey recipes during cooking even more objectionable. I do notice some also. 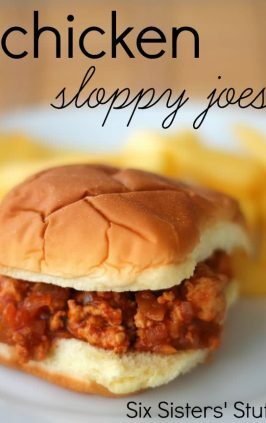 I haven't had sloppy joes in forever, now I am definitely craving some! My mom used to make a recipe almost exactly like this with the addition of a can of pork 'n beans, of all things. 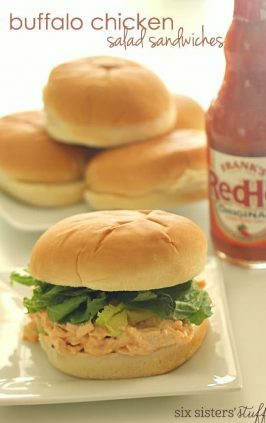 We called them bean burgers which doesn't sound all that appetizing, but believe me, they taste so delish! 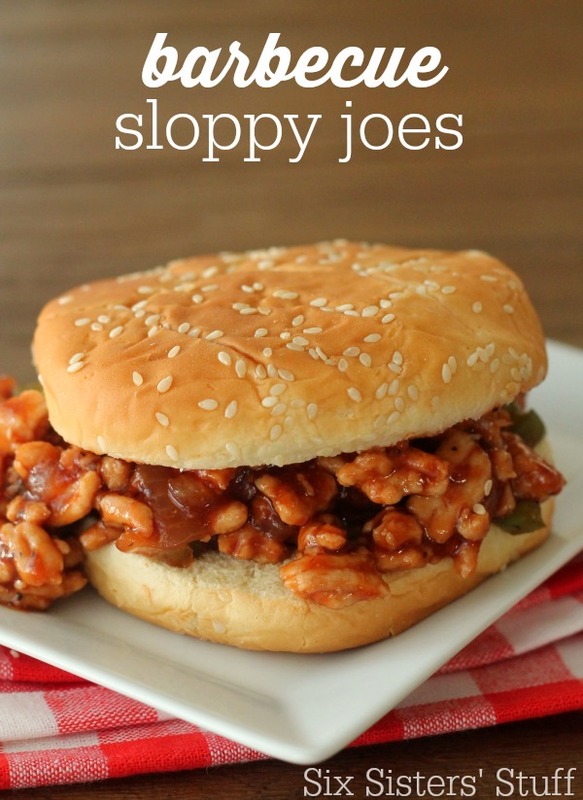 Nothing better than sloppy joes - looks delicious! I would love to see someone like you guys on tv. Someone with a normal life like mine and who cooks stuff I would eat. I hate watching some of them because they cook fancy stuff that I would never buy or cook. Im a very picky eater and I love the reciepes you guys put up because it's stuff my family and I would eat. I love your website and i would love to see you guys on tv. i would tape every episode. Congrats on your tv offer! I would much rather see you guys on television than the Kardashians any day. 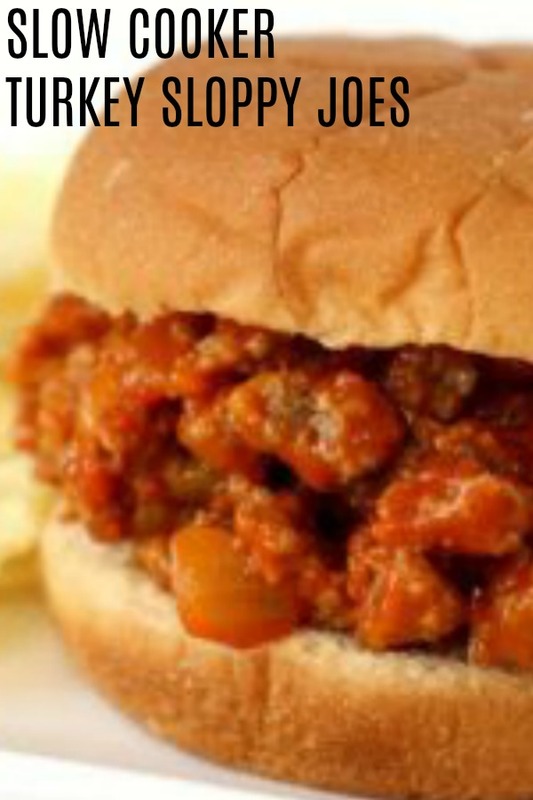 I love sloppy joes because they remind me so much of my childhood. My mom use to make the sauce from scratch but since my child hates them, I got away from making them. I can't wait to try your recipe. I love your blog, it's one of my favorites! Anything you can throw in a crock pot is a winning meal for me! I think a reality TV show is hilarious - what a glamorous life you lead! (Sounds a lot like mine!) Thanks again for linking up! hi! Thanks for linking up to Tasteful Tuesdays! I think it would be amazing if you had a reality show. I'd love it and I'm sure a lot of people would watch it. I need to try these for sure. I'm always looking for crock pot meals for those busy days. I think having a reality show would be stressful... too much intrusion, but how fun to have been asked. Thank you so much for the recipe! I'll definite spread the word, and get it out there! I can't wait to make this! 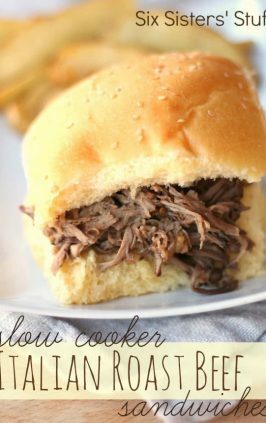 Looks easy and yummy and I love crock pot meals! This was DELICIOUS! husband loved! I blogged about it <3 My husband loved. Thanks! May need to add just a little more liquid to have it cook that long so it doesn't burn. You could also make it and put it in the fridge. Then just reheat it when ready to eat. We have reheated it in the microwave. Hope this helps. These were quick and easy and very delicious! My sloppy joes never turn out this saucy! I am definitely going to be using this recipe from now on! Thanks! You HAVE to try this crock pot recipe. Wow, this was delicious!! My husband gobbled down two helpings and gave the recipe two thumbs up! We are on a low sodium diet so i substituted low sodium tomato sauce for the ketchup and some of the tomato soup and it was still really yumy! Will definitely make this again and will share with friends! Hi, i love your blog. This recipe tastes amazing! I have one problem though. It is too "liquidey" to stay on the bun. I added 3 tablespoons of cornstarch and water and it hasn't solved the problem. Any suggestions? Thanks in advance. So sorry that this didn't work out for you. Be sure you drained the grease after cooking your turkey. Not sure if it was so runny that using a slotted spoon would help as you put the mixture on your bun. We just haven't had a problem with this before. And now for the final judgement- Two Thumbs Up! After the time in the cooker it didn't actually end up tasting all that different than the original recipe. Less sweet and with a little zest but no real heat (and I'm not a person who can do heat!). In fact, it was so balanced you almost couldn't describe a direction for the taste to take. I'm glad I used the chili sauce over ketchup or it might have ended up bland! Sounds delicious! Don't you love when using what you have on hand all turns out great (or even better)! I wish I would have seen the comment about "drain off the liqued before adding to crock pot" I thought I should but when I didn't see it in the instructions I went ahead and left it. Now it looks like it will be too runny in 4 hours :( if possible could you add that step into the instructions in the original recipe above so others might not make the same mistake? Hopfully it will work out anyway since I trippled the recipe and have a ton. Thanks! Can you use tomato sauce instead of tomato soup? We trying to leave out the high fructose corn syrup that is in tomato soup. Tomato sauce should work fine too! Thank you for the good food ideas and for not being like the Kardashian sisters. Hi. I have been loving recipes from your cookbook - i have a question about the mustard in this recipe - what kind of mustard? dry mustard? yellow mustard? dijon mustard? The rest of the ingredients are in the crockpot waiting, so any one's reply would be very appreciated. thanks much. This recipe used prepared mustard, which is yellow mustard. Love this recipe. I'm thinking of trying it with lentil's instead of ground beef. Any thoughts on how to modify the recipe so the lentils cook properly? I found this recipe and went to make it OH OH, NO tomato soup, so I substituted a can of cream of onion soup and DaHubs loved it. It really turned out to be pretty good.